Vietnam is ready to make its contribution to the next phase of the bloc’s development. Throughout its 48 years of development, ASEAN has assumed an ever greater role and significance in the international arena. The Southeast Asian bloc has become a major political and economic entity for both Southeast Asia and the Asia-Pacific, a cooperation facilitator and an indispensable partner in the regional policies of global actors. This growing presence is a reflection of the consistent solidarity and efforts of all members of the bloc. The ASEAN Community is to be formed by the end of 2015, and will be built on three main pillars: Political-Security Community, Economic Community, and Socio-Cultural Community. It is expected to usher in a new chapter of regional interconnection. 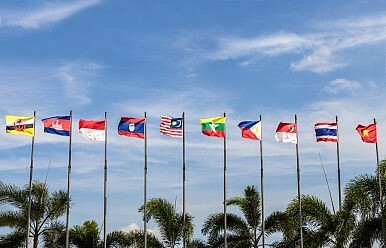 The Community will serve as an important basis on which ASEAN countries can realize their determination to “transform cultural diversity and differences within ASEAN into prosperity and opportunities for equal development in an environment of regional solidarity, self-reliance and harmony.” ASEAN is striving to build a family of Southeast Asian peoples with mutual protection and joint development. In an increasingly complex world, ASEAN members will need to produce specific plans and act in unity if the ASEAN Community is to be established by the end of 2015 and the Post-2015 ASEAN Vision is to be produced with new frameworks and rules. As a member nation that has made significant contributions to the building of the ASEAN Community, Vietnam continues to participate in every aspect of ASEAN cooperation, making effective contributions and fulfilling its commitments. Joining hands with other members in the building of the ASEAN Community, Vietnam has adopted the following focuses and priorities. First, work actively to achieve 2015 ASEAN Community, executing programs/plans on building the 2015 ASEAN Community, examining domestic regulations in the context of Vietnam’s commitments within ASEAN and aligning them where needed, and boosting promotion of the ASEAN Community to raise public awareness of ASEAN and Vietnam’s role within the bloc. Second, help develop the Post-2015 ASEAN Community Vision as well as the Master Plans to implement the Vision on all three pillars. Third, strengthen solidarity, unity, and ASEAN’s central role in maintaining peace, stability, security and cooperation in the region. Fourth, help to foster ASEAN’s external relations with a focus on fulfilling its role as coordinator for ASEAN-EU relations (July 2012 – July 2015), while preparing for and then assuming a role as coordinator for ASEAN-India relations. Fifth, strengthen the apparatus and mechanisms for collaboration among Vietnamese authorities to take part in ASEAN cooperation, and prepare for the establishment of the ASEAN Community and its subsequent development. The year 2015 marks the 20th anniversary of Vietnam’s accession to ASEAN. Vietnam has not only demonstrated its responsibility and fulfilled its duties, it has also made significant contributions to the development of the Association. Vietnam has also been involved in every field of cooperation within ASEAN. Its efforts to encourage solidarity and unity have contributed to addressing major regional issues and has helped advance the enforcement of the Declaration on the Conduct of Parties in the South China Sea and the creation of the Code of Conduct. Nguyen Thi Hao is managing editor of the Vietnam Post.